The demolition of Old Street roundabout has been slightly delayed so the Magic Roundabout is back for a final winter, remaining open until 1st January 2019. The heated outdoor has been turned into a smoking hot slice of Latin America for its last few months. Transformed into Fiesta Del Magia, from Friday October 12th the main dancefloor becomes a Latin American town square complete with Frida's cocktail bar and an onsite chapel - the perfect place to confess sins. 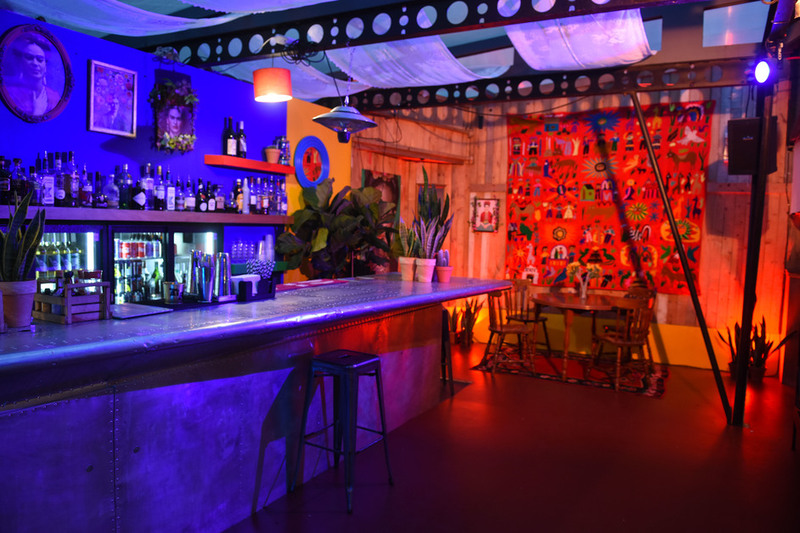 Located slap bang in the middle of Old Street roundabout and accessed via a secret staircase in the tube station, the unique residency has a DJ booth, dancefloor and a dodega which comfortably accommodates up to 35 guests with seating for up to 20. A top location for an Old Street bar crawl since June 2015 so don't miss your last chance to enjoy it. The Magic Roundabout gyms, sporting activities, health & beauty and fitness. The best pubs near London The Magic Roundabout. The Magic Roundabout clubs, bars, cabaret nights, casinos and interesting nightlife. Where to have your meeting, conference, exhibition, private dining or training course near The Magic Roundabout. From cheap budget hotels to luxury 5 star suites see our special offers for The Magic Roundabout hotels, including Holiday Inn Express London-City from 85% off.